February 13, 2019 [Springfield, Mass. ]— The Rt. Rev. Douglas J. Fisher, bishop of the Episcopal Diocese of Western Massachusetts, and The Very Rev. 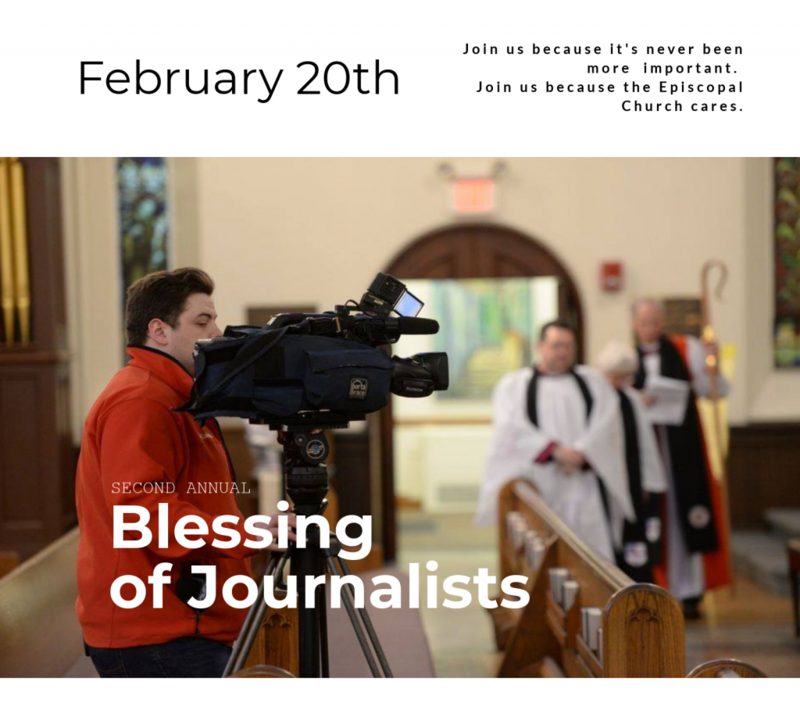 Tom Callard, dean of Christ Church Cathedral, welcome all members of the press in Western Massachusetts – print, television, cable news and radio – to attend a “Blessing of Journalists” service at 12 noon on Wednesday, February 20, 2019, at 35 Chestnut Street, Springfield, MA. For the first time the cathedral will honor a local journalist. The Bishop’s Award will be given to a local journalist of any medium who demonstrates excellence in bringing local and national concerns to the people of Western Massachusetts. Carrie Saldo, our first recipient, is the host of WGBY’s “Connecting Point” – a news magazine program rooted in local subject matter; from politics to the arts that airs weeknights at 7:00 PM. Speakers include Bishop Doug Fisher and Mark Hambley, Former US Ambassador to Qatar and Lebanon, who will address the murder of Saudi journalist, Jamal Khashoggi in Turkey last October. The date was selected in conjunction with the Episcopal Church’s annual commemoration of Frederick Douglass (1811-1895) – abolitionist, orator, and editor of the pro-abolition journal The North Star. Douglas was a prophetic witness to the sinfulness of slavery and spoke this truth to a nation in need of repentance and reform. In a speech before the American Anti-Slavery Society, May 11, 1847, Douglas spoke of the need for unrelenting assault on the institution of slavery. “The conscience of the American public needs this irritation. And I would blister it all over, from center to circumference, until it gives signs of a purer and a better life than it is now manifesting to the world.” As an enduring symbol of the power journalists possess to move the heart of the nation toward the common good, the award recipient will be given a framed page from the paper founded by Douglass. The First Amendment to the Constitution will be read in addition to readings from Scripture. The service is open to all who support the work of the free press and value this fundamental element of our democracy. All members of the media are invited for the noonday service on February 20.